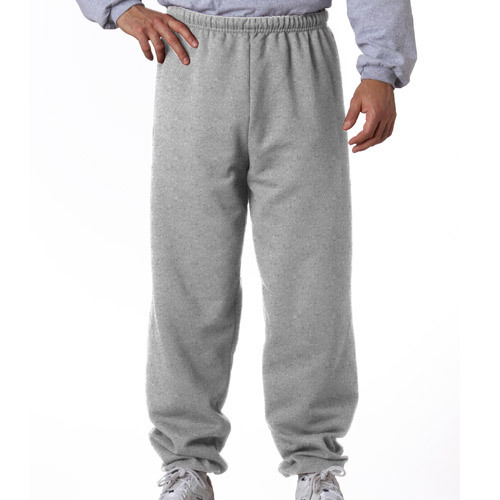 DESCRIPTION: Adult Mid-Weight Sweatpants. Designated colors are grey and maroon. 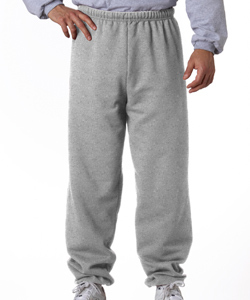 KEY FEATURES: Pill-free 50% cotton/50% polyester NuBlendTM. 8-oz. Double-needle covered waistband. Inside drawstring. Elastic cuffs. Seamless sides.